This Christmas my little sister asked if I would make her a chunky winter wrap. My search for patterns didn’t yield what I was looking for. They all seemed a little stiff and used such thick yarn that each stitch seemed to be bursting. I like any type of knitted wrap to have a good drape and these patterns were coming up short. And so instead of looking for a pattern I decided to buy the yarn I wanted first, then make it up as I went along. Making things up as you go is the joy of knitting scarves and cowls — you can’t really mess up a long rectangle. The pattern and yarn worked together so nicely for my sister’s gift that I ended up making a second cowl for myself. If you’d like one too, the pattern is below. It will only take a few evenings curled up on the couch with a cup of tea and your favorite show on the TV or radio to keep you company as you work away mindlessly, stitch after soft stitch. • Using three strands of yarn, one from each skein, loosely cast on 20 stitches. 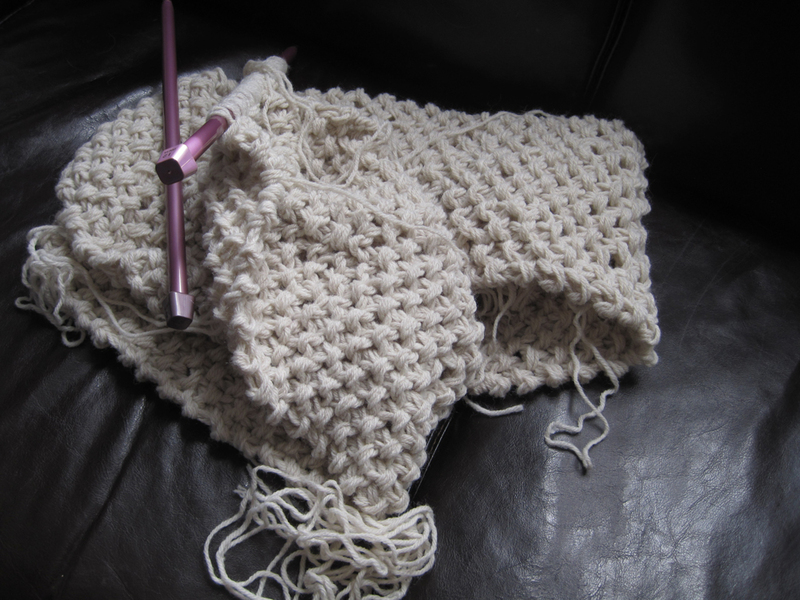 • Knit in seed stitch for full length of scarf, approximately 136 rows. As you knit, be sure to treat all three strands as a single strand. Repeat rows 1 and 2 for entirety of scarf. • Knit until you have enough just enough yarn left in each skein to cast off loosely. After casting off, weave in loose ends. With buttons on the end there are plenty of ways to wrap and wear this chunky scarf. Lovely! I’m making one now, but a little less bulky. 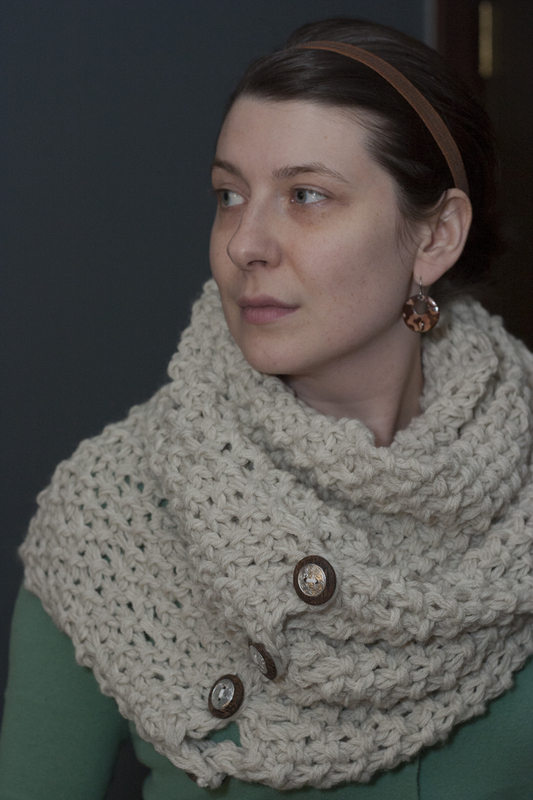 I also want to make the Gaptastic cowl too! Ooooh. The Gaptastic is lovely. If there had been chunky yarn in the right color I may have just knit that for my sister instead. Would love to see your cowl when finished.